You are invited to experience the difference at Yackandanah Motor Inn, proudly rated number one by all major online accommodation booking agencies. 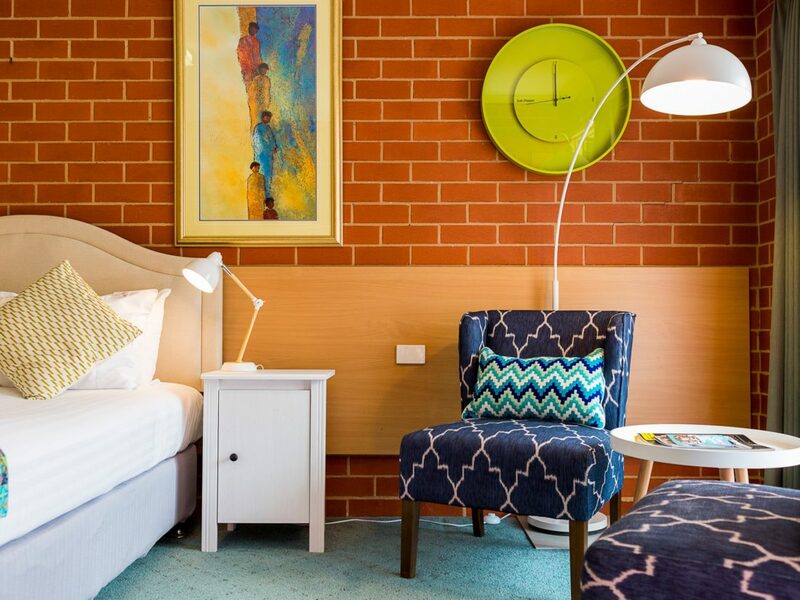 With rooms that challenge the boundaries in customer service and facilities, the Motel offers convenient location in the heart of the Yackandandah township, amongst the shops, hotels and cafes – a great place to relax and experience local country hospitality. A small eight room motel, each room features the latest 43 inch smart television, new air-conditioners, free Wi-Fi internet and bottled water. Beds are triple sheeted and come with soft and firm pillows. The motel bathrooms are fitted with rain shower heads and all rooms have security screen doors to keep insects out and offer privacy should you have your room door open. The motel is just 20 minutes from Beechworth and the border towns of Albury / Wodonga. Yackandandah Motor Inn is a no-stress motel and offers a simple booking service with no deposit and free cancellation. For all enquiries, please contact the motel via telephone. Queen size bed, ensuite bathroom, tea and coffee making facilities, LED flat screen television, refrigerator, all ground floor units and off street parking at your door. Free WiFi internet and bottled water. Queen size bed and a single bed, ensuite bathroom, tea and coffee making facilities, LED flatscreen television, refrigerator, all ground floor units and off street parking at your door. Free Wi-Fi internet and bottled water.